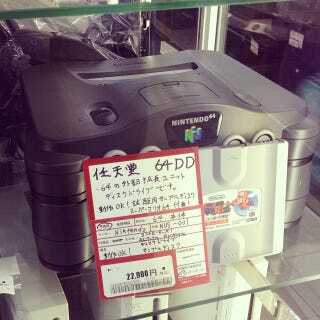 Super Mario 64 Disk Version Is Real! That's right, sitting all these years on a second hand games shop in Japan the only 64DD copy know to be available anywhere. French Nintendo 64 collector and blogger jimmy130 got his hands on this rarity and recorded some gameplay footage. As expected it plays just like the cartridge version. But who knows after digging into the source code and comparing both versions might reveal? Fascinating stuff. Add another 64DD game know to the list.